Android is a hugely popular mobile operating system, accounting for about 80% of smartphones. I used to think that it was great to have a mobile OS that was also open source. But I’ve gradually come to realise that Android’s open source credentials leave a lot to be desired, and that Google is engaged in some pretty anti-competitive behaviour. 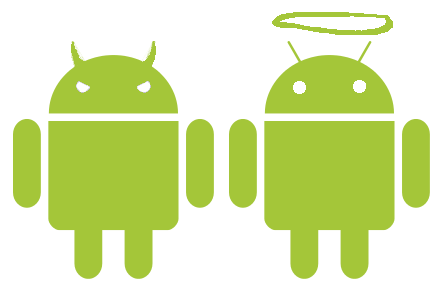 Author HarryPosted on 27/01/2015 Categories technologyTags Android, Don't be evil, F/OSS, FirefoxOS, Google, Mozilla, open source, Ubuntu phone1 Comment on Is Android evil?